Feedback was invited on a public discussion paper as part of the timber supply review for the Arrowsmith timber supply area (TSA) until January 16, 2017. The Arrowsmith TSA is located on the southern half of Vancouver Island. The Arrowsmith TSA includes the communities in four regional districts on Vancouver Island: the Alberni Clayoquot, Cowichan Valley, Nanaimo, and Capital Regional Districts. 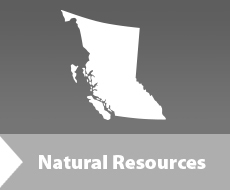 The Arrowsmith Timber Supply Area covers 114,940 hectares on the southern half of Vancouver Island, with nearly 60,000 hectares available for timber harvesting. Under the Forest Act, the chief forester must determine the maximum amount of wood that can be harvested in each of the province’s 38 timber supply areas and 34 tree farm licences at least once every 10 years. However, a new allowable annual cut may be determined earlier in response to abnormal situations, or the current allowable annual cut postponed for up to five years if it is not expected to change significantly. A discussion paper was released on November 8, 2016. Feedback was welcomed on any issues related to the timber supply review for the Arrowsmith TSA. Comments or questions were accepted by mail, email or phone.